Chef Lorenzo Boni grew up with a passion for Italian food in Bologna, Italy. While studying culinary arts, Lorenzo traveled extensively throughout Italy, immersing himself in the regional cuisines of Italy working at many top rated restaurants such as Paracucchi in Amelia, San Domenico in Imola, Pappagallo in Bologna, Tentativo in Rome and Casanova grill in Milan. He then traveled to the United States, where he served as the Second Chef and Pastry Chef at the San Domenico Restaurant in New York City, which was rated as the best Italian restaurant in the country at the time. After working in New York, he returned to Italy and opened his own restaurant, Osteria du Madon, in Bologna, which was awarded by Fodor’s guide as best Osteria of Italy, while serving as consultant to Barilla Italy at the R&D center. In 2001, Lorenzo joined Barilla Italy full time at their world R&D headquarter in Parma. In 2003, he was promoted to Executive Chef for Barilla America, returning once again to the U.S. In his current role, Lorenzo is responsible for product and recipe development, as well as managing the culinary execution of all Barilla sponsored events. Lorenzo is also being a relator and spoke person for Barilla in many food conferences around the country. He resides in Evanston IL. with his wife, Beata and his daughter Valentina. Congratulations Chef Lorenzo Boni on being our Chef of the Month for August! We really enjoyed getting to know you! 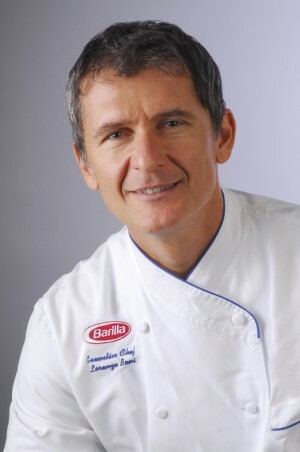 I am the Executive Chef for Barilla America (Canada, US, Brazil, Mexico) and am based in our Corporate Office in Chicago. I am responsible for developing recipes to be posted on our website, social media sites, at the back of our packaging, in our advertising, flyers, booklets and support food service business for restaurants and events like the South Beach Wine and Food Festival. I always loved cooking and learnt from my Dad when I was growing up and became more interested in it. When I was thinking about my career, I chose to be a chef and studied at my culinary school here in Italy. Two things – Spending time with my family, I have 1 daughter who is 7 years and Photography which I apply on my job for our Marketing efforts. I also love sports – biking, swimming, running and I normally run marathons in New York and Chicago. Instagram for Professional and Facebook for Personal. 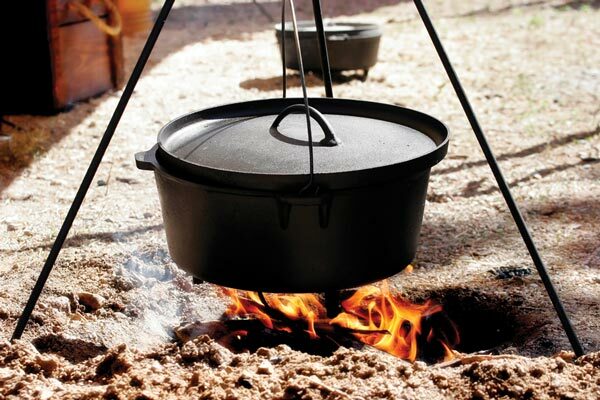 French Made Cast Iron Dutch Oven – I love the way it is designed and it cooks so easily and the food comes out great! Pasta – Mediterranean Inspired Pasta like Seafood Pasta. My favorite is Spaghetti with clams and colorful and light pastas. When I was working for Barilla Italy, I went to Australia for a food show and next door, there was a booth that serves crocodile meat which I tried. It was okay. BRING a large pot of water to a boil. In a large skillet SAUTE the onion in olive oil for about 5 minutes or until slightly browned. ADD the mushrooms and saute for an additional 5 minutes. ADD the heavy cream and the peas, season with salt and pepper, bring to a simmer. COOK the pasta according, drain and toss with the sauce. REMOVE from the heat and add the Parmigiano cheese, toss to combine. Muhammad Ali. He is the greatest athlete and an iconic American figure. He was a hero for us in Italy because of what he stood for and through his achievements in sport. Yes, I love dining out. I am on the road a lot and I like several: Japanese, Italian and Rustic French. Fabric is very important to me. I like Egyptian cotton. I like white long sleeved jackets that are light and allows your body to breathe well. 12. What fabric and style of chef uniform do you enjoy wearing the most? Barilla keeps it classic with white jackets and blue finishes on the sleeves, cuffs and collar as one of Barilla’s corporate colors is Blue. 13. How long have you been a chef and where did you study? I went to the Culinary Institute off the coast of Rimini, Italy. 14. What education or experience would you recommend for aspiring chefs? Be in school as long as you can. Studying at Culinary Institutes is very important. They should get to know the general culture too and learn different languages. Like with Instagram, which I use a lot, I communicate with international chefs and learn from them as well. 15. What would you recommend as far as on-the-job training? In your first year, look for the best restaurants and hotels that are high end to work with and learn as much as you can. You will gain a lot of experience even though they will pay you less. Further along in your career, you will get paid more and will be more flexible to pursue other opportunities. 16. Can you offer some advice for aspiring chefs? Keep an open mind having different careers in this industry. Have a scientific approach in understanding food because it will help you with different opportunities that you can pursue as a career other than restaurants and hotels. 17. Do you try to experience your competitors’ food? Do you ever get ideas from them? 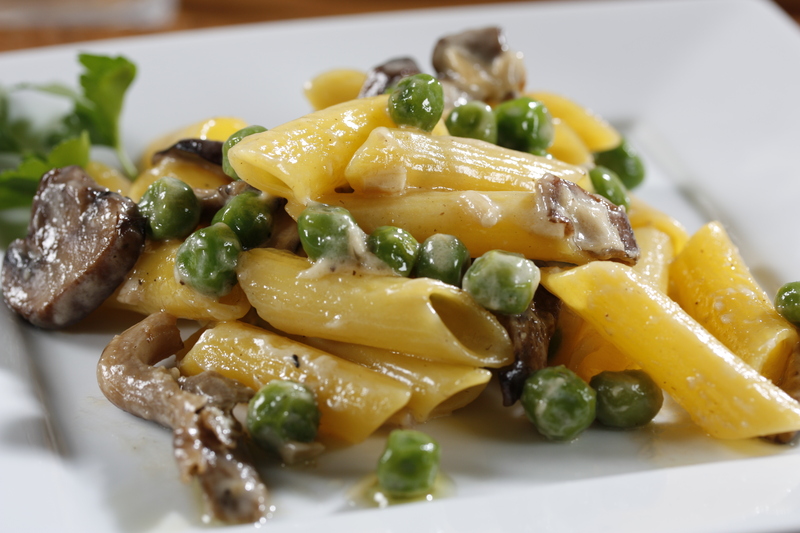 We have a defined line of recipes we feature but we do try other competing pastas and monitor it. 18. Do you think it is important to visit the markets rather than just have standard orders? It is key to understand markets and growers. When I was based in Italy, I learnt about the produce they carried and built deep relationships with them especially as there were no standards like the US. 19. How do you test a new recipe without putting it on the permanent menu? We do not have permanent menus like that of restaurants but we test recipes in small amounts and support our local farmers through this process. 20. How do chefs use technology in their day to day operations? Cooking technology has seen a big revolution in the last 10 years. A few months ago, I met with a chef from Spain by the name of Ferran Adria. He invented Molecular cuisine. It is based on deconstructing ingredients and using them in different forms. He started a movement of using different technologies with nitrogen liquid where it freezes foods instantly to preserve its freshness. In thawing out the foods, you cook with low temperatures which is called sous vide cooking and you put in a device into the water to keep the temperatures controlled. You can cook the food for longer periods of time which will give you a bigger yield and the texture is more tender and softer. There is less wastage and this type of cooking is normally done in higher end restaurants. I was always health conscious as that is how I was brought up in Italy. I love healthy food and being active. I am always finding techniques and ways to cook healthy. At Barilla, we do our best to recycle everything and be a great corporate player in preserving the environment. When I started in this industry in the 1980s, everything was a mystery and it was hard to learn from restaurants and other cultures. Now, with social media, everything is open and the exchange of information is unparalleled. It is great to exchange ideas with people all around the world.